Duo Jill Elliot and Mark Wallis - Trio with accompanist on guitar or keyboard and extra musicians can be added where a larger band is required. Please ring me to discuss the best option for you - 01275 847909 - depends on size and type of event and size and type of venue, and budget. 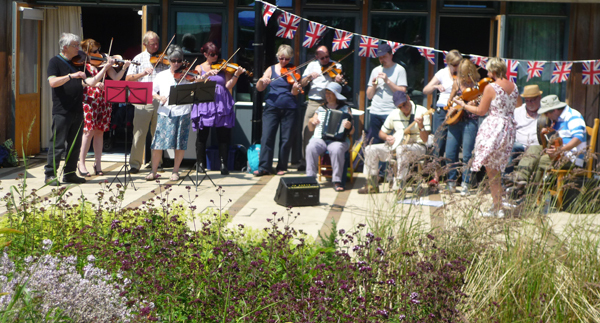 A large band of up to 30 musicians for Community and Charity Events - we play foot-tapping traditional dance music. I provide a variety of PA equipment for different sized venues. I have worked with many bands based in Bristol, Somerset, Wiltshire, Gloucestershire, Devon and Cornwall. 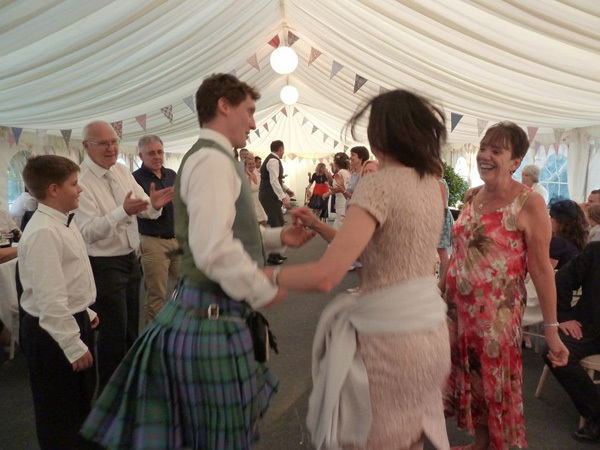 We all particularly enjoyed the kilted groomsmen's Cumberland Square Eight at one wedding at Coombe Lodge in Blagdon!! 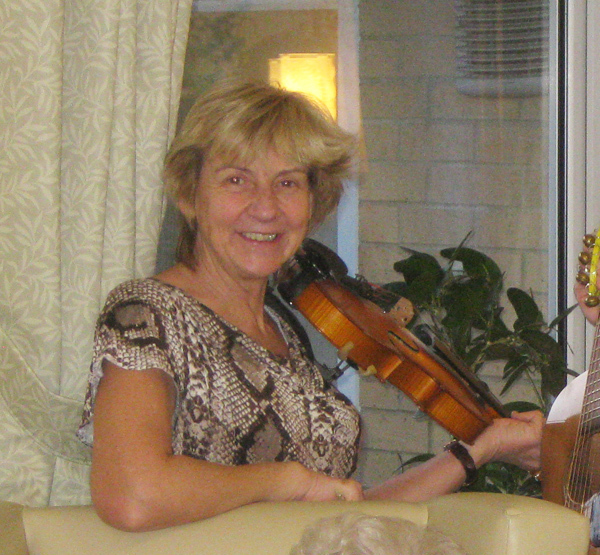 Jill plays violin and sings and calls for dances, and Mark plays button accordion, guitar and also sings. 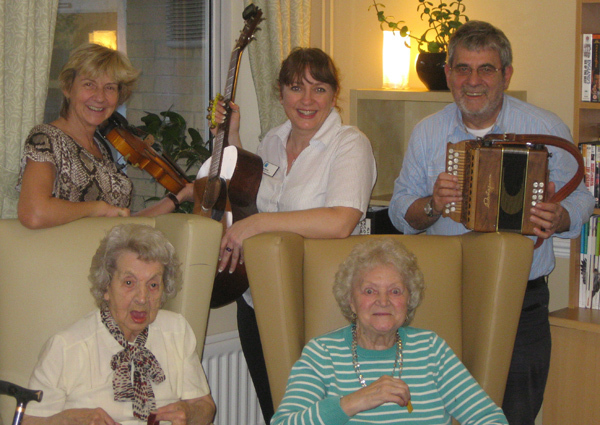 Our Care Home entertainment provides interactive sing-alongs of songs all residents will remember - we bring along percussion for added participation. Colourful illustrated song books with large print are provided. We have numerous regular bookings and also welcome new enquiries. Seasonal programmes include Christmas and Harvest, and special dates such as St. George's Day, St. Patrick's Day, and Burns Day. Morning and Afternoon Social club and Retirement Complex programmes are always light hearted and humorous. New for this year is a slide show talk with live music and dance on the Dance Traditions of The British Isles and Ireland. Another favourite is a sing-along interspersed with highly entertaining poems and songs which we promise will put a smile on your face! 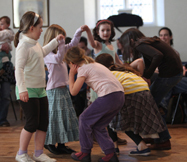 Primary and junior schools and special schools - simple barn dances/singing with actions / live music and movement. Brownies and Guides events, children's birthday parties - we've done loads! Secondary Schools and Higher Education - barn dances for foreign students exchanges, ....... the young people of today are great and have an amazing time - with loads of energy!! without having had any previous experience! 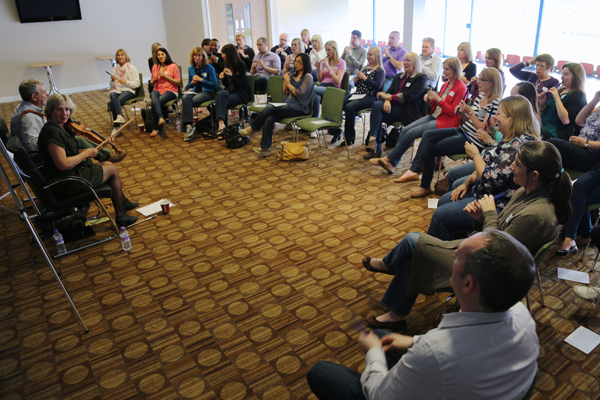 Just wanted to say a big thank you for our workshop at our event last Thursday. It went down a storm and people looked like they were having a great time! 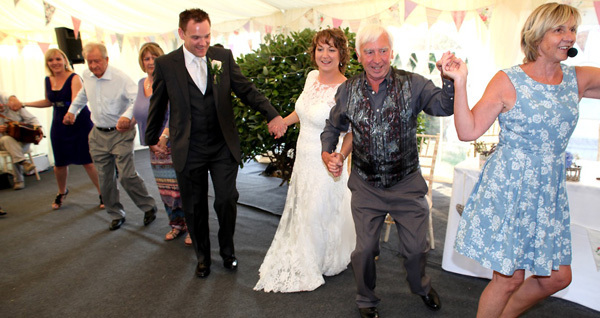 A combination ideally suited for the smaller venue or where cost is a major consideration, Jill and Mark offer barn dances as a duo. 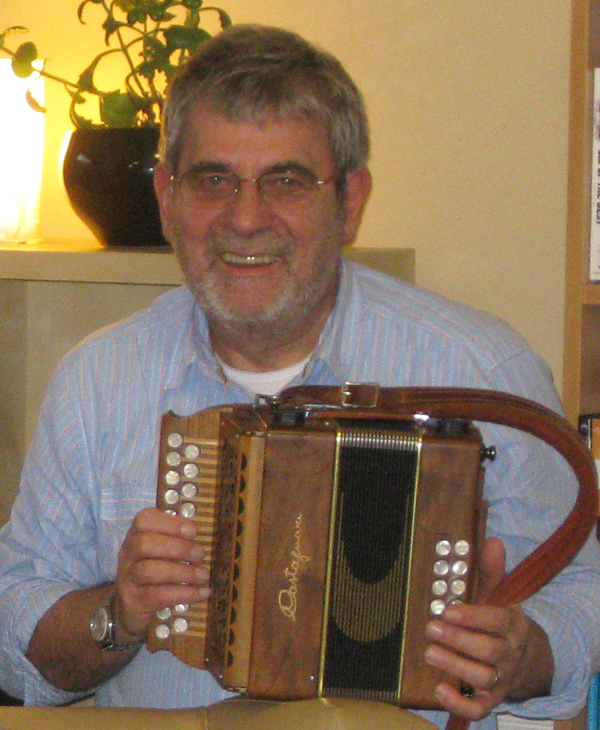 Mark's dynamic accordion playing provides a full sound perfect for dancing, whilst Jill is an extremely proficient and entertaining caller who can help even those with 3 left feet! Jill joins in on fiddle once the dance is under way. This is long overdue but we wanted to say thank you for making our Wedding Celebration so special. We had so much fun as did our guests and with a marquee full of musicians, your fabulous performance and calling was really appreciated by everyone. The amazing send off you organised Jill, was overwhelming and incredibly special - something that will remain with us for the rest of our lives. Thank you seems nowhere near enough but sometimes it’s music that expresses what cannot be said and you both certainly did that for us on 2 August at the Holcombe Inn. 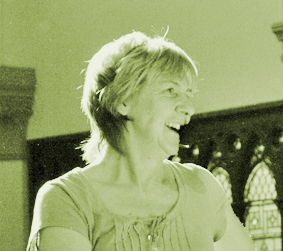 Jill has played and called with various bands over the last 20 years and Mark has been playing for dance for over 40 years. A brilliant family evening was had by all, full of fun and laughter, Jill 's infectious enthusiasm makes the evening go with a swing! Folk Feet weekly dance and social morning runs on Tuesdays at the Folk Hall in Portishead. 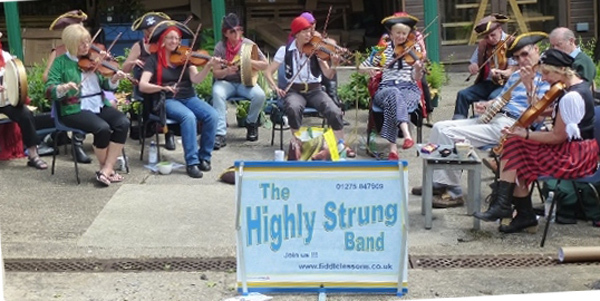 £3 per person - dancers and musicians. Click here for details of these community events. 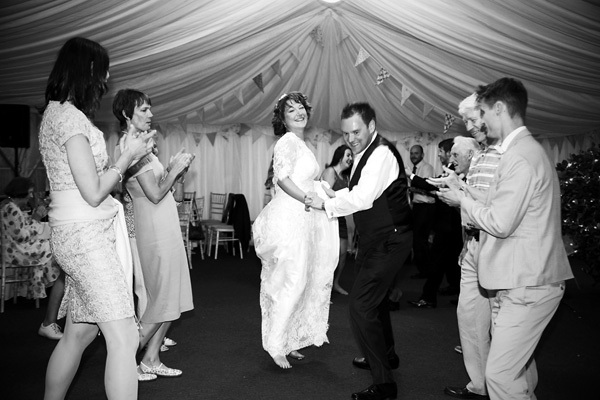 click here to see where you can meet us to listen or better still, join in the dancing! 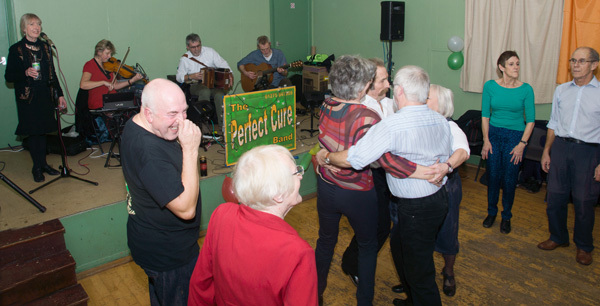 The Perfect Cure play for us at Irish set dancing and all the dancers have been very impressed with the standard of their playing and the enthusiasm which comes across as they play. Very danceable and a great variety of lovely tunes! 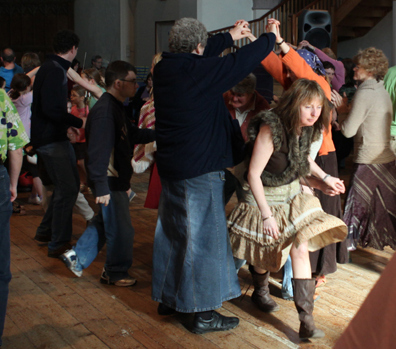 We've also been to their barn dances and greatly enjoyed the music and Jill's excellent calling there. They are brilliant at involving everyone in the dance and creating an atmosphere of fun and excitement. 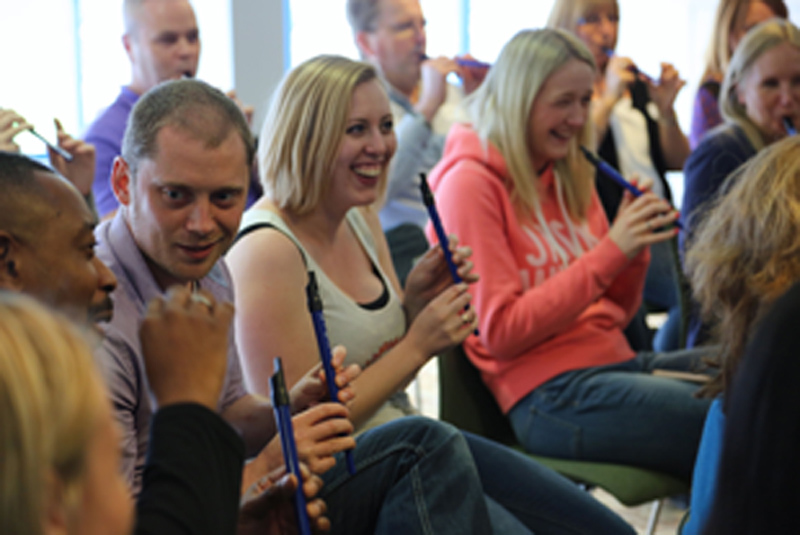 A very professional band to deal with too, extremely reliable and great quality. 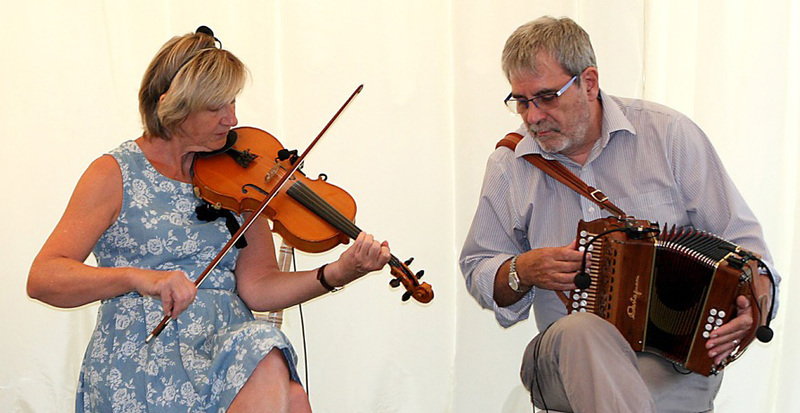 Ideal for local community events - a group of local traditional music enthusiasts playing a variety of instruments to guarantee foot tapping and jigging at your event - Barn Dance or Music for Memories. 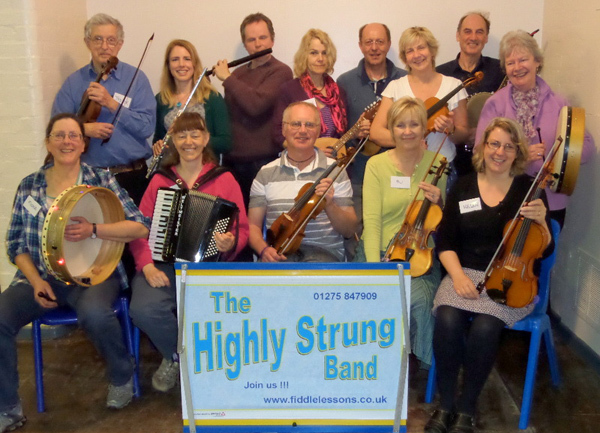 The group is comprised of members of the Highly Strung Music Club that meets weekly in Clapton in Gordano. 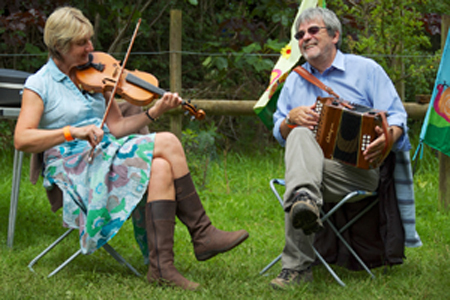 2014 events - new regular addition to our timetable is providing music at the monthly market at Tyntesfield. 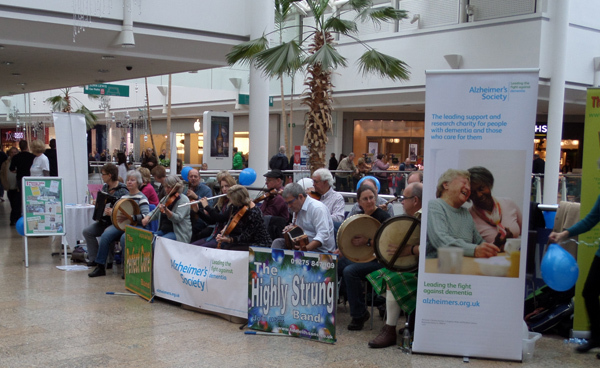 This year we raised nearly £2000 for the Alzheimer's Society via our busking in Portishead and at the Mall, Cribbs Causeway. 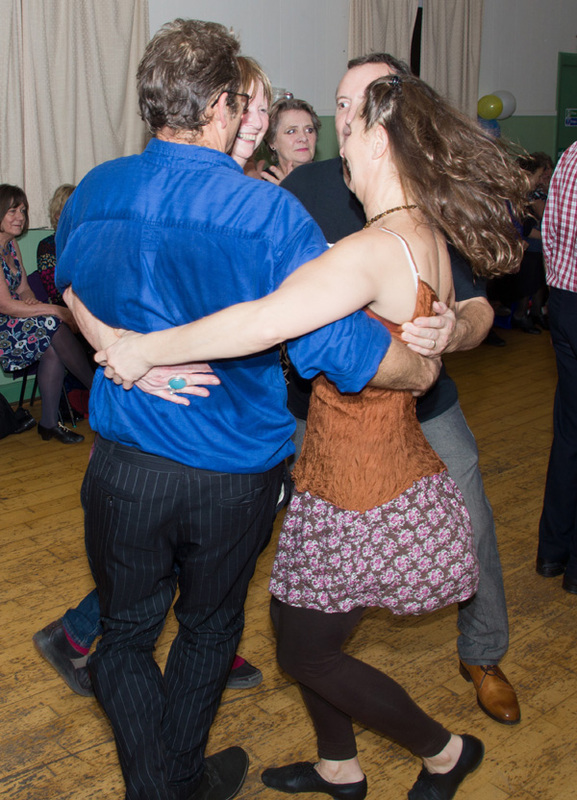 2015 has started off with two very successful fundraising barn dances in January- one in Bristol for fundraising for refugees and the Portishead Rotary Club fundraising barn dance at the Somerset Hall where there were 23 members of the band performing. 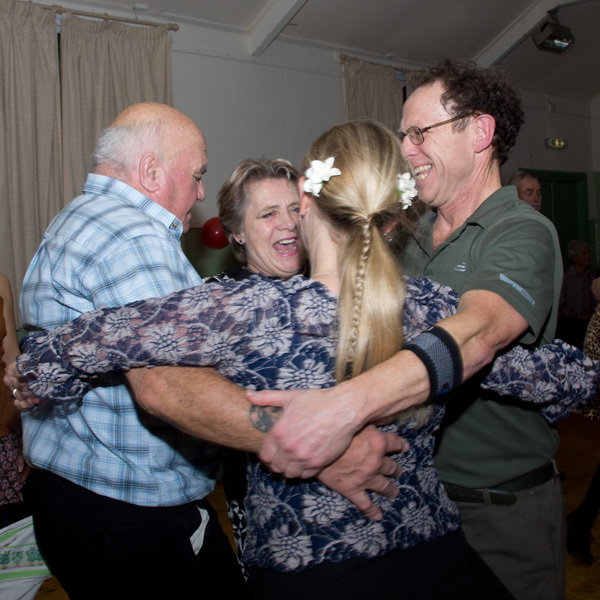 2016-2018 - The latest series of "It's Your Ceili" barn dance fun party for all was not only a real success with band members (over 20 in the band) and dancers but also raised lots of money for Bristol charities. Tyntesfield Craft and Food markets will be on 3rd Sunday May-November 2019. Scroll down for summary of previous years.